The SNA Media Club’s latest article is about the celebrated sportsman Taufik Hidayat, an Indonesian Olympic champion in the field of badminton. Retired badminton player Taufik Hidayat is from Bandung, Indonesia; he gained fame when he won the Badminton Men’s Singles in the 2004 Summer Olympics. Taufik had won several other competitions; most notably at the Indonesian Open Badminton where he is a six-time champion. It is no wonder he is considered a legend in the badminton world by many in the field. The SNA Media Club conducted an email interview with this remarkable athlete in which he shared his life experiences of being an Indonesian Olympic athlete. 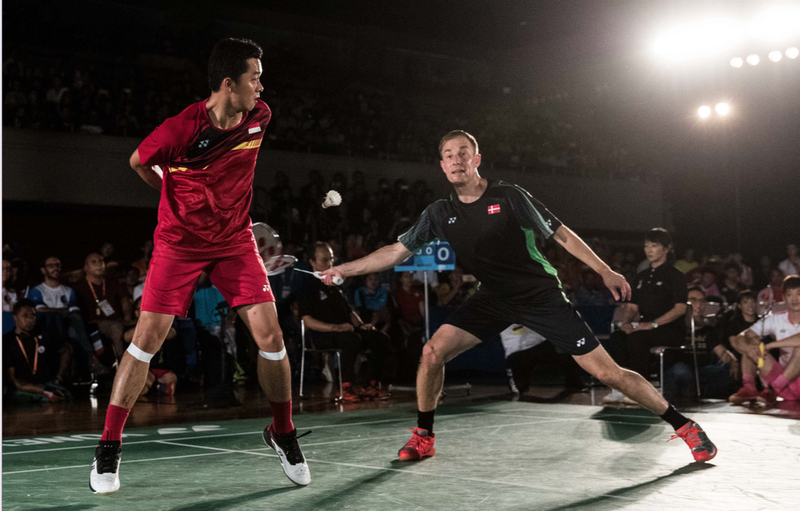 How did you get started as a badminton player for Indonesia and who/what was your main motivator? When I was young, my dream was to become a football player. Sadly, this dream was forbidden by my dad because I kept falling sick due to all the training. He was so much against it that he destroyed my football which it had painstakingly saved up to buy. Then my dad introduced me to badminton, and I gradually began to enjoy the sport. After practising the sport for some time, my dad gave me the suggestion that if I wanted to be an athlete in Indonesia, I should be a badminton athlete because of Indonesia’s reputation for producing world-class badminton players. I sharpened my skills in badminton after my father’s advice and encouragement. I started to train seriously and eventually joined the SGS PLN Bandung Club at the young age of nine. I was trained by Lie Sumirat. From there, I started joining badminton tournaments and was selected to join Peltnas Cipayung as a junior player at 13 years of age. I won my first title at the Asia Junior Championship in 1997. The most difficult opponent to fight is yourself. Winning and losing is part and parcel of the life of an athlete in a tournament, but the process of competing with full drive until the very end is really a battle within yourself. Was your family supportive of your career choice as Indonesia’s badminton athlete? My family’s constant encouragement was what drove me to achieve the accomplishments I made so far. Are there any unique experiences during your career as Indonesia’s badminton athlete? For 25 years, being an athlete representing Indonesia has been a really unique experience. I don’t think anyone or any athlete has experienced a similar experience as I did. I grew up with the shuttlecock and I live my life now because of it, too. Is there any special achievement in your career that gave you extreme joy? What sacrifices did you make to achieve it? Do you feel that the sacrifices you made were worth value of the achievement? Every athlete has a dream to compete in the Olympics because it is the pinnacle achievement of an athlete. Becoming a champion in the Olympics was the best moment in my life and, instantaneously, all my sacrifices during my 14 years of training and my 25 years as an athlete had paid off. Do you have anything else that you wish to achieve in your life? I wish to make becoming an athlete a promising career that is worth being proud of in Indonesia. Only a distinguished president and a successful athlete have the honour and privilege to wave the Indonesian flag in other foreign countries. What are your hopes for young badminton players in Indonesia? I would advise them not to be easily satisfied with their achievements and to train hard to bring back the glory of Indonesian badminton on the global scale. Do you have any message or tips for our young Indonesian athletes? Winning or losing is a dynamic process of being a world class champion. Winning is an attitude, and keeping it is a commitment. Do you want your child to follow your steps to become a badminton athlete? If my children choose to do it and are committed to becoming badminton athletes, definitely I will give them my full support. The main point is that I will give my full support and encouragement no matter what their talents and ambitions are. Taufik Hidayat is not only an inspiring athlete but also a wise role model with inspiring words for everyone–, especially youths. The SNA Media Club thanks you for the wise words and the interview.